Barafundle Bay in south Pembrokeshire is on the Stackpole Estate, that is now owned by The National Trust. It used to be owned by the Cawdor family, and this was their private beach. 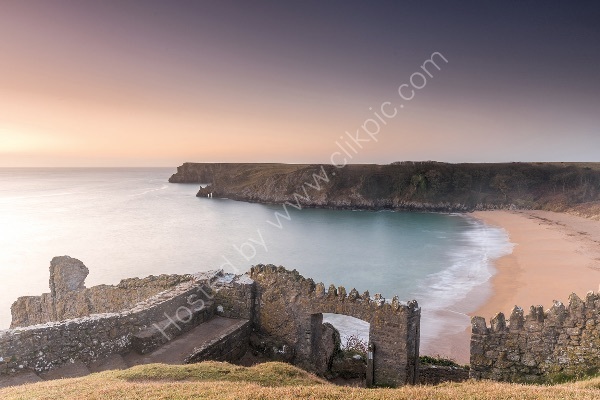 Parking at Stackpole Quay, I made the 20 minute walk across the clifftops, and set up, in the pre dawn darkness, not seeing another soul: lovely! I took this image before the sun had risen, but while there were lovely pastel colours in the sky.